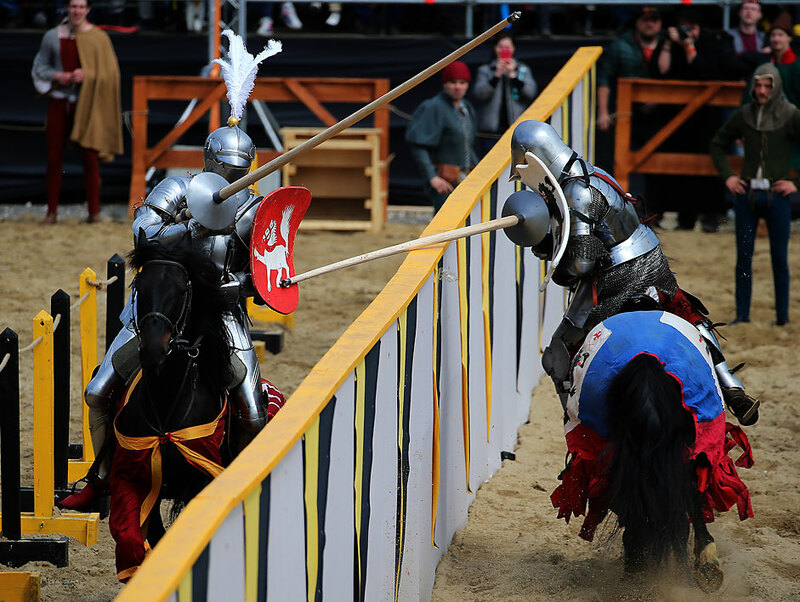 The participants of the First International knightly tournament of St. George in the Kolomenskoye museum-reserve. Russia. Moscow.